Passenger railway transportation plays a crucial role in the mobility in Europe. Since the privatization of the railway sector in the 90s, passenger satisfaction has become an important performance indicator in this sector. A key aspect for passengers is the reliability of transfers between trains. When a train arrives at the station with a delay, passengers might miss their connection if the next train departs on time. These passengers then prefer the connecting train to wait, but this introduces delays for many other passengers. 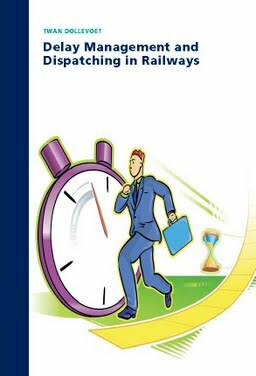 Delay Management is a field in railway operations that deals with this situation. It determines whether a connecting train should wait for the passengers that arrive with a delayed train or should depart on time. In this thesis, we apply techniques from Operations Research to develop models and solution approaches for Delay Management. The objective in our models is the minimization of passenger delay. First, we extend the classical delay management model with passenger rerouting. This allows us to compute the exact delays for passengers. We develop an exact algorithm and several heuristics to solve this extension. Then, we incorporate the limited capacity of the stations in our models. Stations are the bottlenecks of the railway infrastructure, where delays of one train can easily propagate to other trains. When optimizing the wait-depart decisions, these secondary delays should be considered. We therefore develop an integrated model that includes headway constraints for trains on the same track in the station and an iterative approach that evaluates the timetable microscopically.